J. Cole's currently wrapping up his sixth album. J. Cole had 2018 on lock, but clearly, he's keeping the momentum going into 2019. The rapper blessed us with his new single, "Middle Child" last night which was produced by T-Minus. It's unsure if this is a loose track or a lead single off of his next project, but it looks like he does have a follow-up to K.O.D on the way right now. According to a press release for "Middle Child," J. Cole is "currently in the studio working on completing his sixth studio album.". The rapper has yet to announce the title or when it's due, but he's been teasing some new music for a minute. 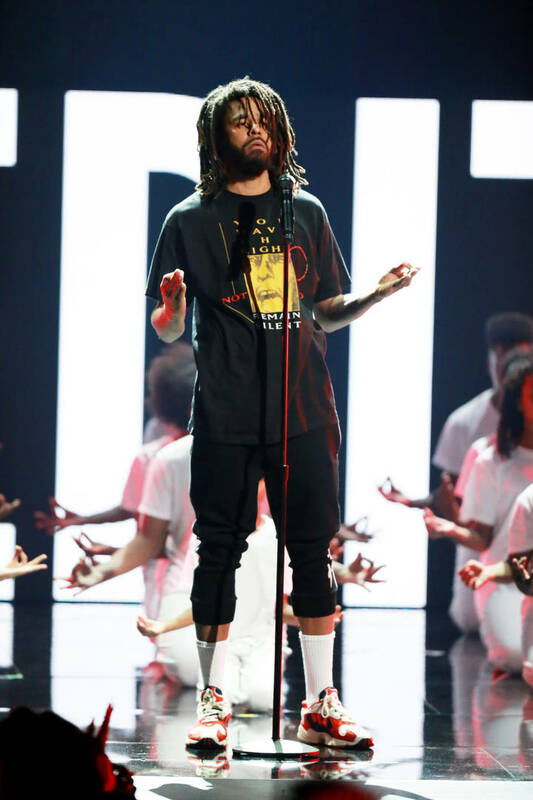 Last summer, Cole blessed us with his single, "Album Of The Year" freestyle which was released along with the announcement of his project, The Off Season. The Fall Off is another project that Cole teased which was teased in the title of the controversial K.O.D outro, "1985." Aside from working on his own solo project, Cole and the rest of the Dreamville camp recently concluded the recording sessions for Revenge Of The Dreamers III. Dreamville's recording sessions brought some of the most skilled artists in the rap game together in one room. DJ Khaled, Rick Ross, T.I., Tay Keith, Curren$y, Vince Staples, Young Nudy, Wale and many others joined Cole and the rest of Dreamville for the Revenge Of The Dreamers sessions. It's unsure when it'll drop, but we'll keep you posted.